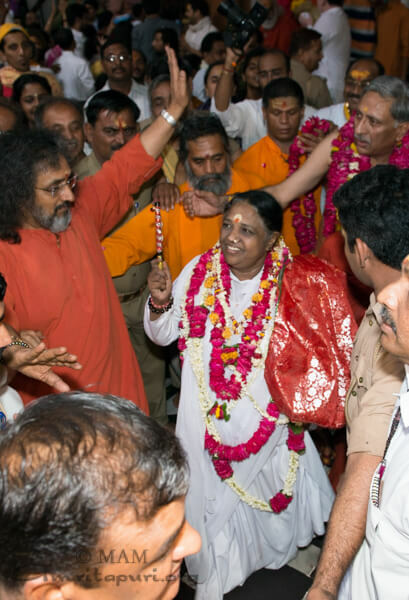 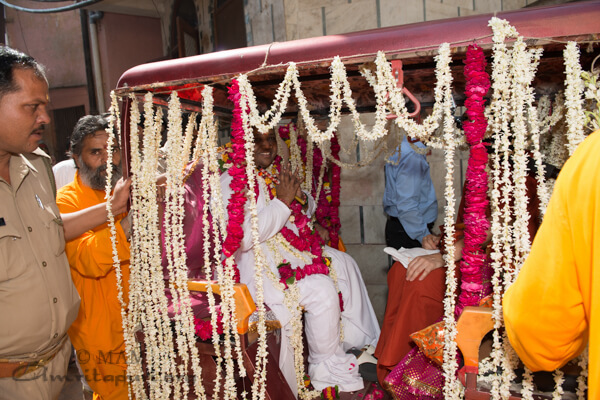 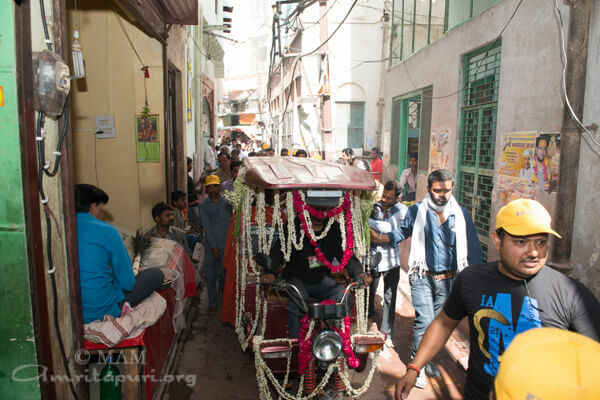 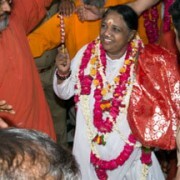 As part of her visit to Vrindavan in nearly 30 years, Amma accepted an invitation to visit the Banke Bihari temple, the oldest temple in Vrindavan.Amma was taken in an e-riksha to the temple, driving through the narrow lane. 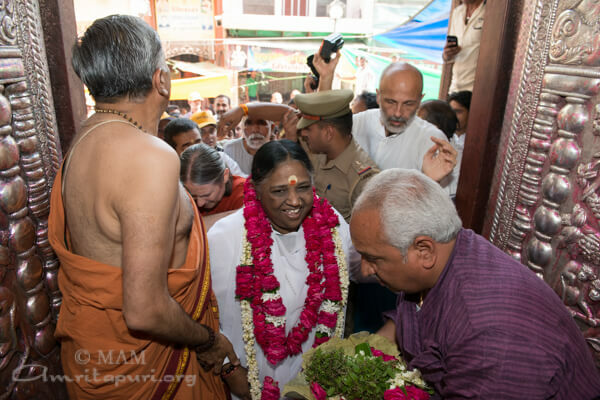 Amma’s entire group joined Amma for the visit to the always-crowded temple. 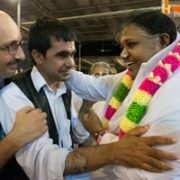 The already sanctified space reverberated and pulsed with devotion as Amma entered the temple and gazed at the murti of Sri Krishna. 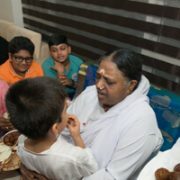 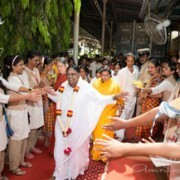 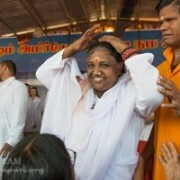 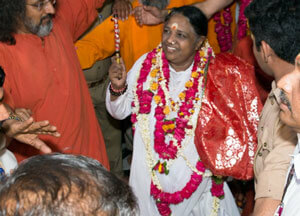 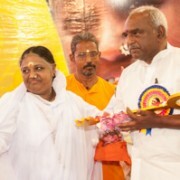 Before leaving, Amma participated in a ceremonial worship of the Lord. 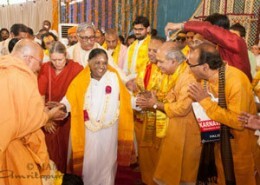 The temple’s priest welcomed Amma as an honored guest and presented her with ceremonial shawls, garlands and the same type of flute that was played by Sri Krishna.